All towns in Maine are currently in a “dry” state, due to changes made by the Legislature to the law earlier this year. Before these changes were made at the state level, some towns had put ordinances in place, others had moratoriums, and a few had chosen to take no action and wait and see. Now, towns have to “opt in” through local means to allow sales of non-medical (also known as “retail,” “recreational,” or “adult-use” marijuana) marijuana establishments. Read more about this process and get some of your questions answered by visiting this publication put together by the Maine Municipal Association. Berwick: No update. Previously, the town passed a moratorium on non-medical marijuana establishments. Eliot: The town will ask residents on November 6th, with a non-binding referendum question, if they want to allow non-medical establishments in the town’s commercial/industrial district. Kittery: The town will ask residents on November 6th, with a non-binding referendum question, if they want to allow non-medical establishments in the town’s commercial zones. Lebanon: The town currently has a ordinance in place banning non-medical marijuana establishments. North Berwick: No update. 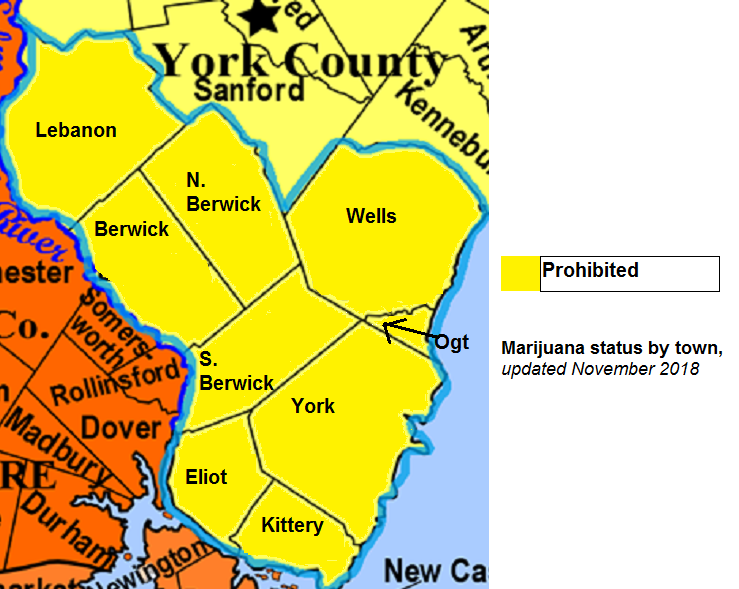 Previously, the town passed a moratorium on non-medical marijuana establishments. Ogunquit: The town currently has a ordinance in place banning non-medical marijuana establishments. South Berwick: The town will ask residents on November 6th, through a non-binding survey, if they want to allow medical and/or non-medical establishments. Wells: The town currently has a ordinance in place banning non-medical establishments. York: The town currently has a ordinance in place banning non-medical establishments.